The DTOID Show: Syndicates, Battlefields, and Bagmen! Good evening, little darklings. It's the last day of our Giveaway Week and we gave out a total of $900 worth of prizes! Special thanks to those of you who spent minutes painstakingly drawing and MS Painting photos for a chance to win one of our many awesome treats. You shall be rewarded in the afterlife with karma and women. Now, for news. It's getting close to the home stretch, so EA just posted tidbits of information on all nine of Battlefield 3's multiplayer maps. Ten full minutes of Syndicate gameplay footage also got posted to the internet machine, along with new characters for Ultimate Marvel vs. Capcom 3, and those of you lucky enough to score an iPhone 4S today (read: me) will be happy to know that GTA III is heading to mobile devices. 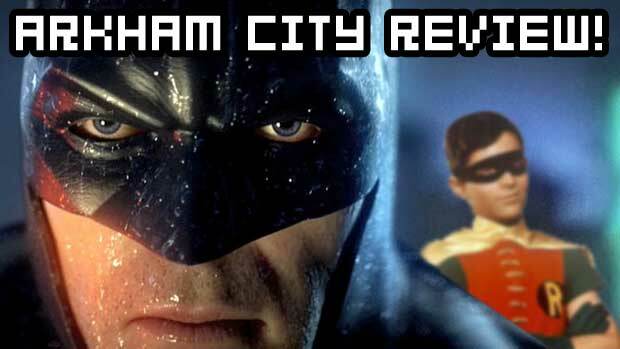 That dapper dandy Jim Sterling also sent us a video review of Batman: Arkham City, which we watched and then promptly dismissed because it does not have glittery vaginas.